The U.S. Food and Drug Administration previously published a final rule on nutrition labeling of standard menu items in restaurants and similar food establishments. The original compliance date for the menu labeling provisions was December 1, 2015. The FDA then extended the compliance date on three separate occasions. Now, almost three and a half years after the final rule was published, the FDA’s menu labeling rules went into effect earlier this month. What does this mean for the food retail industry? We answer common questions related to the new menu labeling requirements. First, the establishment must be a “restaurant or similar retail food establishment.” Generally speaking, that broad definition includes any retail food establishment that offers for sale “restaurant type food.” The term “restaurant type food” includes food that is eaten on the premises, while walking away from the premises or soon after arriving at another location. According to FDA, examples of restaurants and similar retail food establishments include bakeries, cafeterias, coffee shops, convenience stores, food service facilities located within entertainment venues (such as amusement parks, bowling alleys, and movie theaters), pizza take-out and/or delivery establishments, grocery stores, retail confectionery stores, superstores, quick service restaurants and table service restaurants. Second, the establishment must also be part of a chain of 20 or more locations doing business under the same name and offering for sale substantially the same menu items. This definition includes most franchise systems. How do I comply with the rule? Generally speaking, in order to comply with the menu labeling rule, covered establishments must provide calorie count information for each “standard menu item” listed on a menu or menu board. Certain items, including temporary specials, are excluded from this definition. The calorie count information must be clearly displayed alongside the name or the price of the associated standard menu item, in a type no smaller than the type size of the name or the price of the information. There are additional required statements related to recommended daily calorie consumption for adults and children. Covered establishments are also required to make available more detailed nutritional information. The nutrition information is similar to what one would find on a cereal box or other packaged food, and includes information about fat content, cholesterol, fiber, sugar, protein and other items. Offering a standard menu item for sale without complying with the menu labeling requirements is a violation of the Federal Food, Drug, and Cosmetic Act. FDA has a wide range of enforcement tools for “misbranded” food, including issuance of warning letters, injunctions and even criminal prosecution. However, in response to industry concerns, FDA has stated recently that it intends to pursue a “cooperative” enforcement approach. Thus, covered establishments that make reasonable efforts to comply with the rule are unlikely to face penalties for technical violations. Expect to see continued outreach and education from FDA, especially during the first year of compliance. Will states and cities continue to impose their own menu labeling requirements? Generally, no. The FDA menu labeling rule preempts (i.e., displaces) conflicting state and local regulations. Indeed, that is one reason why organizations like the National Restaurant Association have supported the requirements. It makes compliance less costly and more predictable, especially for restaurant chains that operate in multiple jurisdictions. It is important to note, however, that state and local governments may still regulate establishments that fall outside of the federal definition, including, for example, chains with fewer than 20 locations. Additionally, state and local agencies may also have the ability to enforce the FDA regulations (or their own identical regulations). For a more detailed discussion of this issue, click here. You can read the full text of the final menu labeling rule here. The FDA maintains a page dedicated to menu labeling here. The National Restaurant Association also provides information and resources to members and non-members here. Read comments about the rule from FDA Commissioner Scott Gottlieb here. 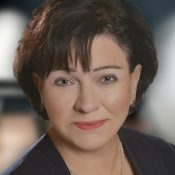 As Co-Chair of the Global Franchise and Supply Network practice at Polsinelli, Joyce Mazero represents national and global product and service-based companies leading them through major initiatives including structuring franchise and distribution networks, purchasing cooperatives and buying groups; negotiating strategic alliances, joint ventures, domestic and international licensing, franchising, manufacturing, retail and logistics deals; buying and selling franchise chains, food service providers and manufacturing plants, and litigating franchise, intellectual property and distribution disputes around the world. Managing supply chain risk and leveraging supply chains to maximize competitive advantage and, increase cash flow opportunities; managing risk in domestic and international franchise systems to enhance market expansion opportunities and foster sustainable value relationships among franchisors, franchisees and suppliers, in her capacity are critical focal points of herpractice. 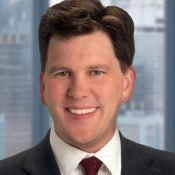 William Sentell focuses his practice on franchise and distribution litigation, alternative dispute resolution, and related corporate, regulatory and compliance matters. William routinely draws on his national litigation experience to provide advice related to state, federal and international franchise laws. His knowledge encompasses a diverse range of industry-specific legal developments, including food and beverage marketing and regulation, and he has assisted established international brands and emerging local concepts.